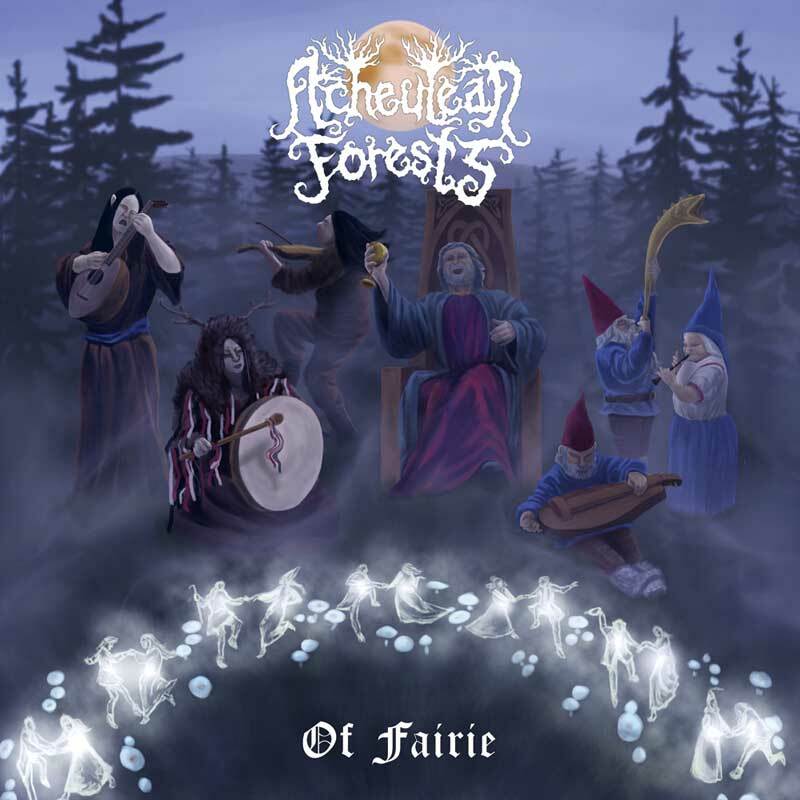 This is the cover art I created for the dungeon synth band ACHEULEAN FORESTS cassette album titled “Of Fairie”. 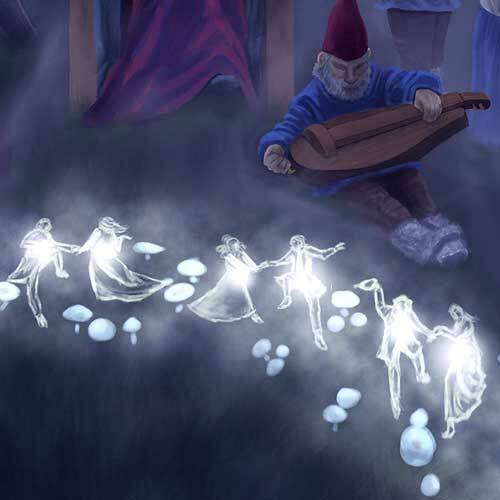 The brief was to have elven and gnome musicians performing and a forest king on his throne with fairies dancing in a ring of mushrooms. 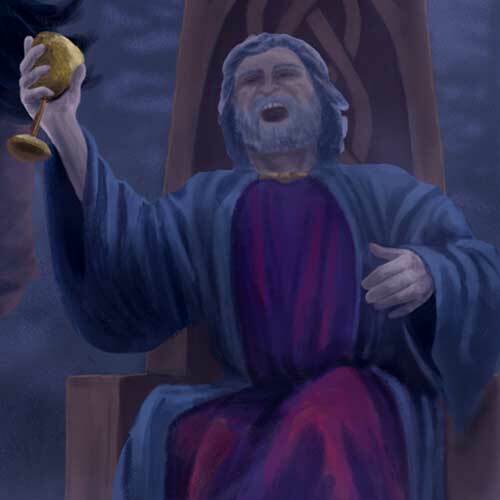 I felt that with such an active and jovial scene, a stern and imposing looking forest king just wouldn’t be appropriate, so I chose to portray him getting tanked up and singing along with the festivities. 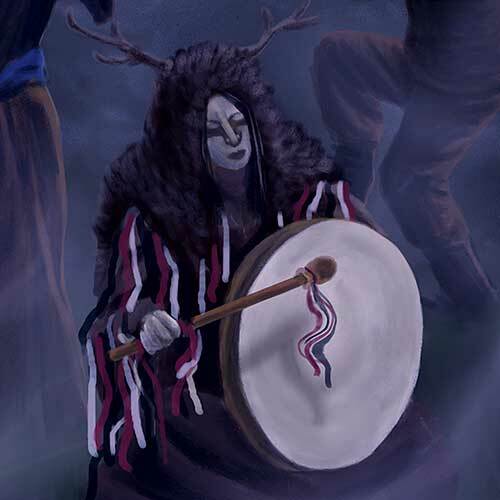 I clothed the female drummer elf in traditional northern shaman gear. 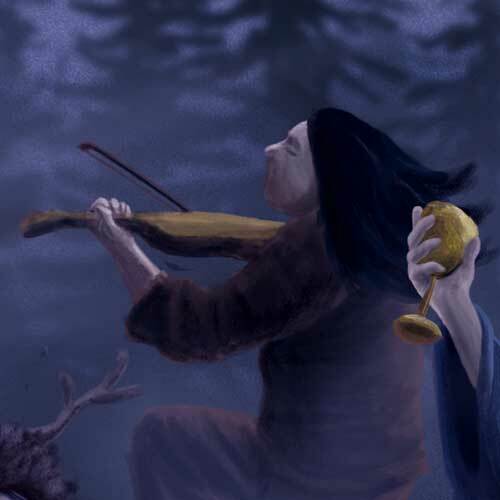 I find it curious how shaman from the northern climates of Europe, Asia and North America all tend to have similar outfits or a variation of it with animistic headgear, robes and flowing ribbons or bangles. 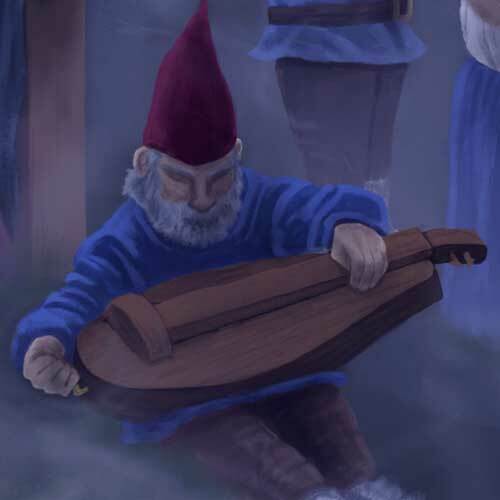 I chose to add some red ribbons on the drummer and a blue sash on the lute player in order to help balance out the blue and red costumes of the gnomes on the other side of the painting. 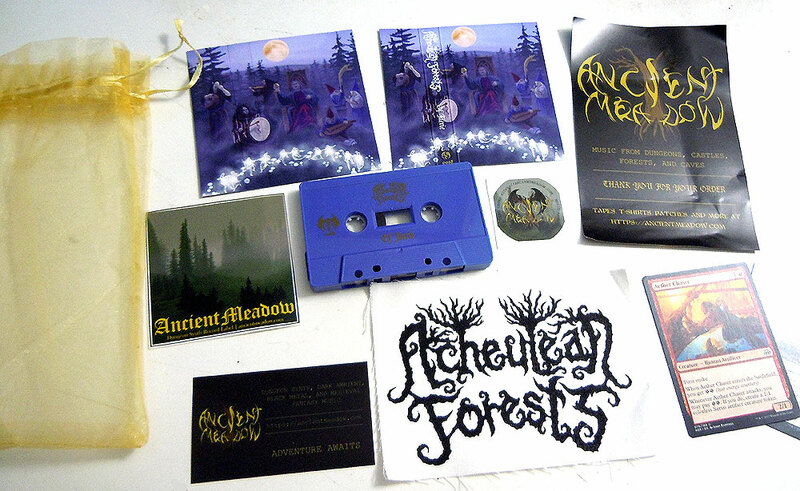 The brief also mentioned that the setting was to be in a coniferous forest at twilight. 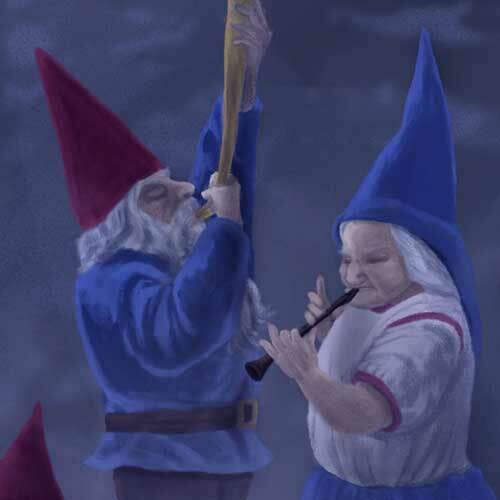 Twilight is a difficult time to depict because all the saturation tends to wash out of colors and become close to gray. If you’ve driven in the countryside at twilight, you’ll know this is the time deer like to come out and begin exploring and they are difficult to spot when everything around them takes on a nearly uniformly gray tone. I chose the very start of twilight as the moon is just beginning to rise and the colors are starting to desaturate. Media: Painted in Photoshop with a Wacom Intuos 3 tablet & stylus. 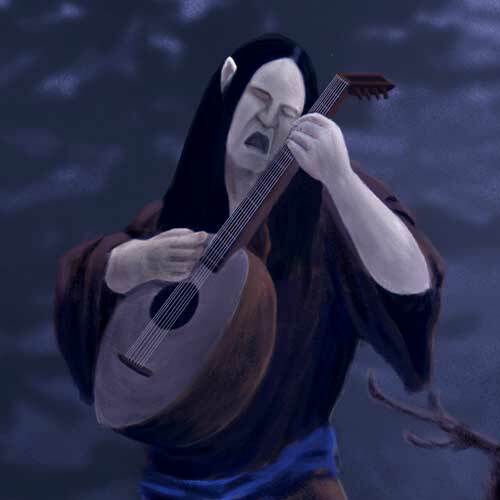 Please use the Contact Form if you are interested in a custom art commission.